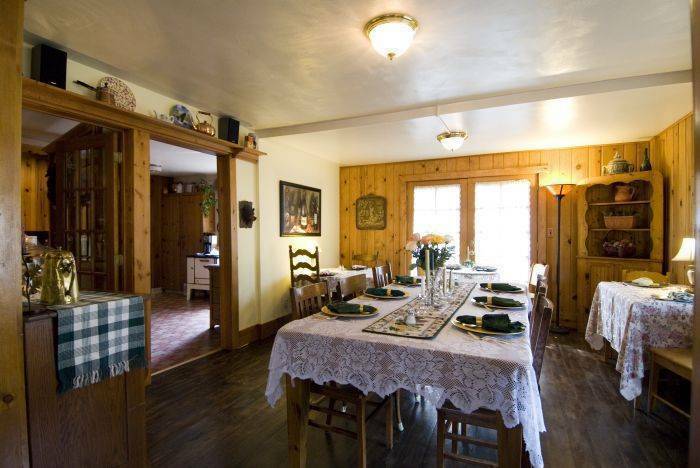 The Black Dog Inn is located high above the town of Estes Park, our wooded acre has a commanding view of Lumpy Ridge (a well known rock climbing formation), Mummy Range and Mt. Olympus. 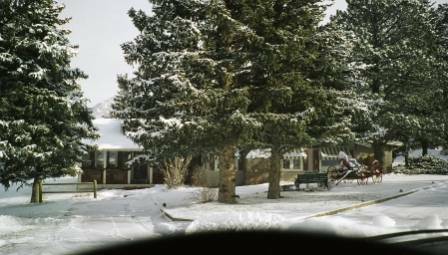 We are a short 5-minute drive to the entrance to Rocky Mountain National Park. Secluded Fireplace Suites, your special Home-Away-from-Home with Inspiring Mountain Views. Gourmet Four-course Breakfasts. Relax in Your In-Room Jacuzzi Tub for Two, Relax with an In-Room Massage. snuggle in Bed with soft feather comforters. luxurious robes to lounge in comfort by the warmth of your fireplace. 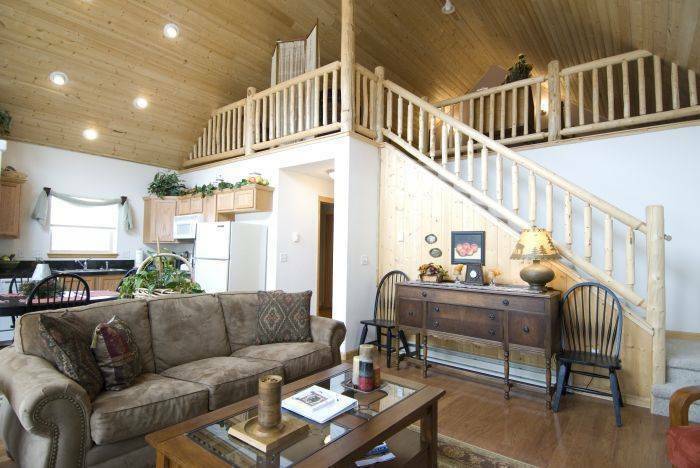 Sundance Mountain Suite: An extraordinary bungalow with soaring ceiling, skylite, bay window, beautiful, carved Eastlake furnishings, romantic double jetted Jacuzzi tub & see-thru fireplace to enjoy while in the tub or in the living/bedroom area. Mummy Mountain Suite: Newly redecorated Arts & Crafts decor. Fireplace, jetted Jacuzzi tub for 2, living room, queen bed, large bath with marble shower, hardwood floors & Oriental rugs, views. Romance and privacy are the passwords for your adventure! 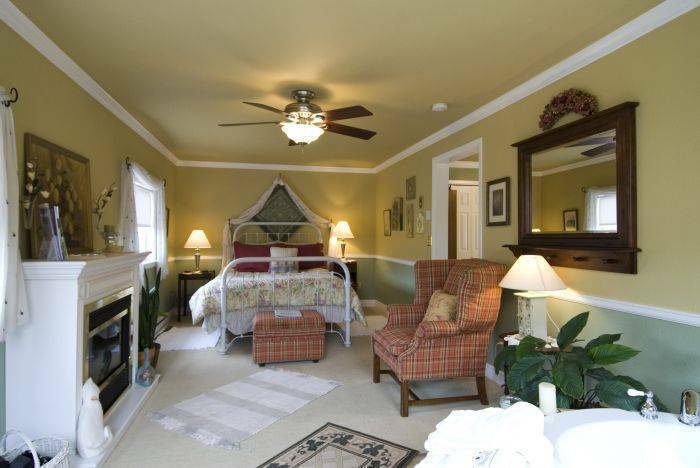 Mount Olympus Suite: Our most recent addition, an English Cottage style suite, with two beautifully appointed rooms, fireplace, tv/video player, cd player, oversize Jacuzzi tub for two. Mountain and garden views. Oversized chair makesinto a bed for a third guest. Snowdrift Peak Suite: A journey back to your childhood in this whisically decorated two room suite. 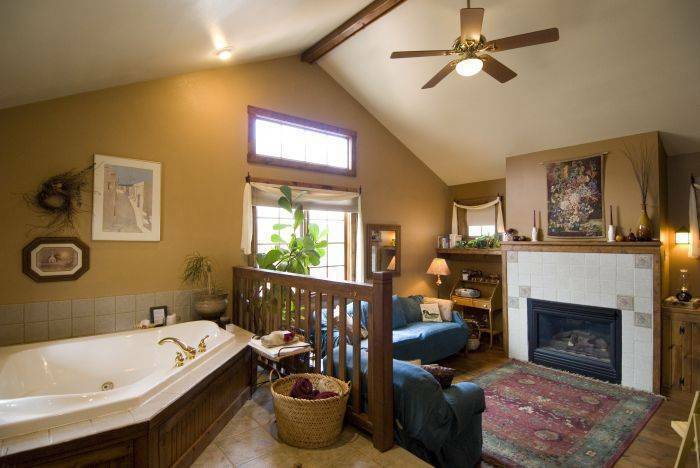 A deep soaking tub for two sits in a skylit alcove off the library/sitting room. 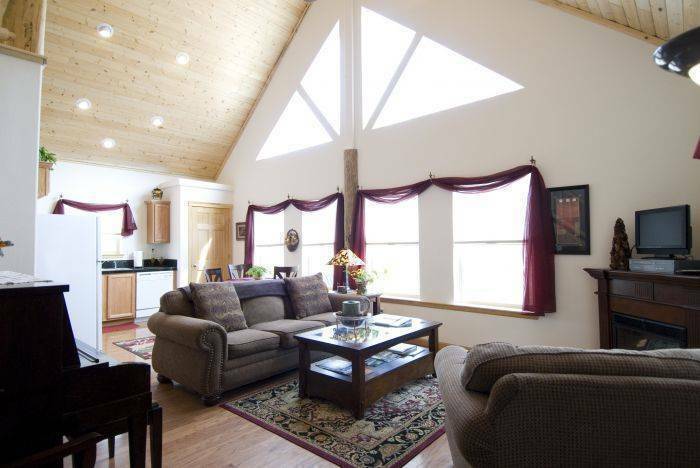 Fireplace and TV/video player, cd player complete this cozy room. Love seat makes into bed for a third guest. Rocky Mountain National Park-5 min. Reservations require a 50% deposit within 10 days of making the reservation. Certified checks may be used for the deposit if received within 10 days of making the reservation. Deposits will be returned for cancellations received more than 30 days prior to the arrival date, less a $50 per unit cancellation fee. If you have booked on line and cancel an additional 5% will be added to your cancellation fee. For cancellations or reduction in the number of nights of your stay received 30 days or less prior to the arrival date, Black Dog Inn will attempt to rebook the accommodations. If we are able to rebook you will receive your deposit less the $50 per unit cancellation fee or you may convert you deposit into a gift certificate. We reserve the right to add a $50-$100 cleaning fee if your unit requires unusual cleaning. Take I-25 North (toward Fort Collins) from Denver or Denver International Airport. Exit on Hwy 66 west to Lyons. Turn right on Hwy 36 in Lyons (20 miles to Estes Park). Continue straight (approximately 20 miles) to the first stoplight in Estes Park and turn left onto Highway 7 (South Saint Vrain Ave). Go . 9 miles south on Highway 7 and turn left just after Graves Avenue (just past the Mountaineer Restaurant on left).